(Newser) – Equifax said Wednesday that it was hiring longtime financial industry executive Mark Begor as its new CEO, as the credit reporting company continues to try to recover from fallout surrounding a massive data breach. The 59-year-old Begor will take over from Paulino do Rego Barros Jr., who became interim CEO in September when Richard Smith stepped down from the post. Smith's departure followed those of two other high-ranking executives who left in the wake of the hack, which exploited a software flaw that Equifax didn't fix to expose Social Security numbers, birthdates, and other personal data that provide the keys to identify theft. Begor comes to Equifax from private equity firm Warburg Pincus, but spent 35 years at General Electric before joining that firm, the AP reports. Equifax is still dealing with the aftereffects of the breach. A total of about 147.9 million Americans have been impacted by Equifax's data breach, which remains the largest exposure of personal information in history, and the company is under numerous state and federal investigations as well as dozens of class-action lawsuits. "We didn't have the right defenses in place, but we are investing in the business to protect this from ever happening again," Begor said in an interview. "We are a public trust in many regards and we need to work to earn that trust back." Begor said he was initially approached about interviewing for the job back in October and it took until March for the board to finalize their decision. 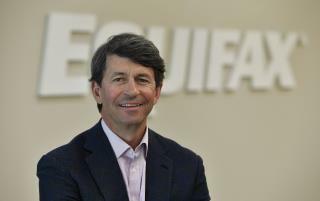 His appointment at Equifax is effective on April 16, and he will also become a board member. Another jerk that makes 2000 times more than his employees and cuts their pay and benefits to give to stockholder when he has the chance. Where's tyler durden when you need him.